No recruitment process is complete these days without ability and aptitude tests. These are powerful tools in the hiring system. Companies use these assessment tests to measure the potential employee's job aptitude and capability. An individual's aptitude is measured by testing abilities and personality. There are predefined job benchmarks which prescribe the aptitude and ability required for a particular job. Applicants complete these aptitude tests and their results are compared to a job benchmark to determine their suitability for a job. 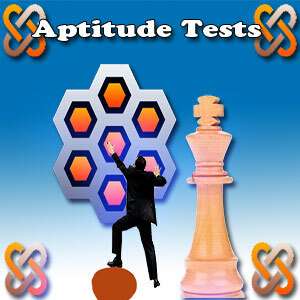 By and large there are three key tests that are used to measure an individual's aptitude. An abilities test that measures learning speed, general mental abilities, is an indicator of a candidate's ability to be successful in a particular job. An individual's strength in numerical, verbal and spatial reasoning required for a particular job is measured. This is imperative to make good hiring decisions. Interest inventory or the number predictor of an individual ability to be successful in a job is tested. In other words, how does a company determine if someone is motivated and interested in doing the required tasks? There could be instances when candidates are qualified to do a particular job but show no interest whatsoever, when hired. Personality inventory is the biggest factor in evaluating job fit. This determines if an individual is a good personality match for the required task of a particular job and if the individual has long term satisfaction and job productivity. How are these pre-assessment tests done ? An applicant is tested on twenty different scales. Areas such as general mental ability, interest and personality are tested. The tests under each area allow a comprehensive view of the candidate. The job fit and culture fit for each candidate are determined. The term psychometric is derived from Greek words 'psyche' or mind and 'metron' meaning measure. Psychometric tests are designed by occupational psychologists in their recruitment and selection processes. They help identify both potential and personality. The aim is to provide employers information about a prospective employee for a vacancy. These tests again are timed and designed to measure natural ability of a candidate. These are typical pen and paper tests and the scores are compared against established standards. Such psychometric tests measure intelligence, aptitude, personality, ability to handle stress, ability to learn, verbal ability and knowledge, emotional stability or instability, logical thinking, traits, numeric ability and abstract reasoning. Psychometric tests are by and large divided into two types namely, personality and interest rates and aptitude and ability tests. Personality tests, as the name indicates, assess the candidate's attitude toward work, motivation and behavior. The individual's behavior in relation to their environment and in relation to performing tasks is measured. General mental ability, cognitive reasoning or leaning speed are tested and measured. These include numerical reasoning or working with numbers, language skills, working with words and spatial reasoning or working with shapes. These tests are rigorously timed. The number of questions and the time given are usually proportionately equal. The interest inventory is an assessment of the candidate's areas of interest described in terms of working with data, working with people and working with things. The average time duration could be about fifteen minutes to answer almost twice the number of questions. The personality inventory is based upon recognized personality scales and some major scales would include independence, conscientiousness, extraversion and stability. Each of these major scales consist of sub-scales or minor scales. The time duration to complete would be about half hour. The more the number and variety of assessment; lesser will be the selection errors. This will also boost the effectiveness of decision making. These tests help employers to select the right employee. They also help to reduce staff turnover and attrition. They reveal if a prospective employee is an extrovert or introvert and also help identify an applicant's intelligence quotient or IQ level and the ability to execute a job properly. Psychometric tests are done to help predict job performance. They provide a snapshot of the candidate's potential. It also ensures that a suitable candidate is hired for the job role. That is why several medium to large sized companies and organizations use them in various sectors including engineering, manufacturing, finance, IT, banking, consultancy, public sector and retail. These tests identify the potential of the applicant to grasp new skills. They measure the natural ability to perform tasks where no prior specialist knowledge or skills are needed. Numerical reasoning tests and verbal reasoning tests are the most common. Depending upon the type of job applied for, the candidate may also encounter abstract reasoning, diagrammatical reasoning and spatial reasoning tests. Strict time limits are set and the tests are taken under exam conditions. There is a right and wrong answer. Personality questionnaires explore the candidate's behavior pattern, and measure his/her behavior in relation to other people and the ability to deal with own and other people's emotions. The tests would have a built-in mechanism to detect inconsistencies. Mock tests can be taken prior to the actual tests. Many psychometric tests consist of multiple choice questions and the tests could be either paper based or computer based. Most employers send practice tests and sample questions. It would be good for the candidate to brush up arithmetic skills. These days a number of web sites offer practice tests. The candidate should also prepare his/her physical requirements. In case you suffer any disabilities, inform the administrator in advance so that they can organize alternatives. For instance, the test could be available in larger print/font. More importantly, the candidate has to relax and remain calm and remember that a little adrenalin can boost performance. It is better to adopt a positive approach and view the test as a challenge and an opportunity to demonstrate skill. The candidate must listen to the instructions given by the instructor carefully. If a question cannot be answered, it would be better to skip to the next one and as the test is done under strict time constraint, it is important not to waste time. It is better to work as quickly and accurately as possible. There are several web sites such as Education Testing Service, Graduate Management Admission Council, GMAT, Profiling for Success, SHL, Opra Consulting Group, Fast Stream, Psychometric Success, Psychometric UK and Saville Consulting that help guide and prepare sample questions for these tests. Several timed, free practice aptitude tests are available online on numerical reasoning, graphs and tables, logical reasoning and letter sequences, non-verbal reasoning, verbal reasoning, synonyms and antonyms, verbal logic test, computer aptitude test, vocabulary test, homonyms test, spelling and punctuation test, lateral - creative thinking test, riddles, lateral logical mathematical test, teamwork styles, leadership styles, and careers explorer. These days, global corporate conduct these tests for their candidates in waiting as a preliminary step of the online application process. Indeed, any potential employee is likely to encounter these tests. At first glance, such aptitude and abilities test could be intimidating and challenging, due to the short time frames given for their completion and non-ordinary concepts that they introduce. However, there are extensive packages that give efficient tips and thumb rules to improve performance and actually turn these tests into good brain challenging rather than just cold selection tests.